After surrendering 13 three pointers to the Southeastern Louisiana Lions in a loss in Hammond, the Privateers gave up another 12 this evening in their first round Southland tournament loss in Katy, Texas. UNO fell, 84-74. The Lions shot 12-for-25 from long range, countering New Orleans' offensively potent first half. UNO drained eight threes of their own in the first stanza but trailed 49-42 at the break. 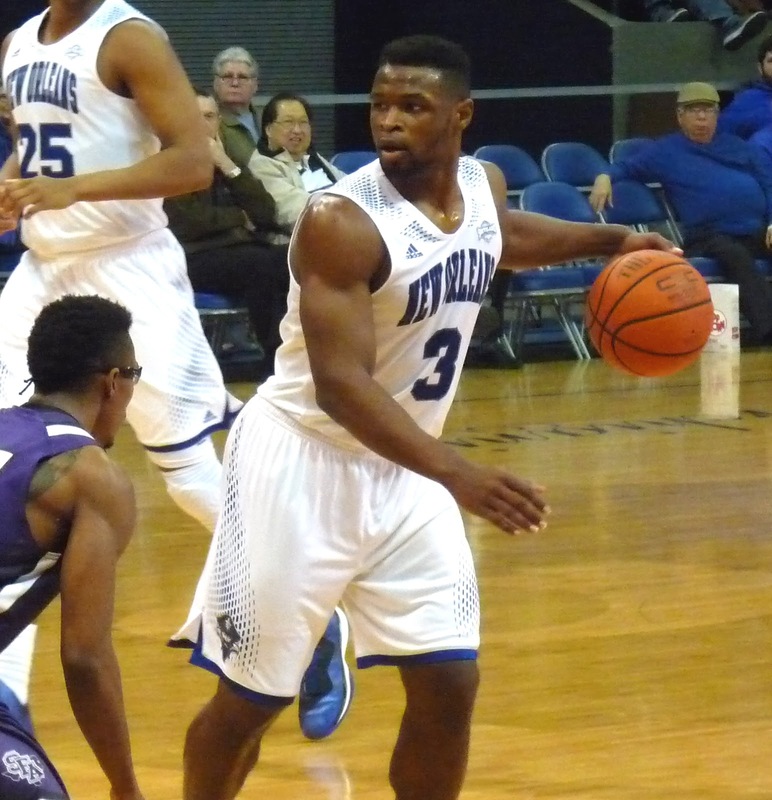 After a quick start to the second half for the Privateers, the Lions hit a run of their own and never looked back. Nate Frye had one of his best offensive efforts of the season, notching 21 points and 5 assists with just 2 turnovers. Christavious Gill added 18. Kevin Hill completed his solid UNO career with 10 points and 8 rebounds. New Orleans finished the year 10-20.